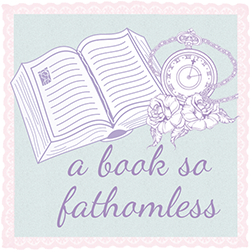 This week I'm participating in the Fantasy Favourites Read-A-Thon hosted by Inge and Karolina of Bookshelf Reflections and Olivia of Olivia's Catastrophe. As you can guess by the title, it's a week read-a-thon focusing on fantasy books. I own a lot of unread fantasy books that I've really wanted to get through lately, so this was absolutely perfect timing for me. Each day during the read-a-thon there will be a set of prompts. I won't be doing every one because I'm too lazy for that, but I thought I should do the first one at least! Today, we had to provide photographic proof of these things. I know this looks like an absolute mess in this photo, but I think the weird lighting makes it look a lot worse than it actually is... or at least, I hope it does. See above photo. Seriously. 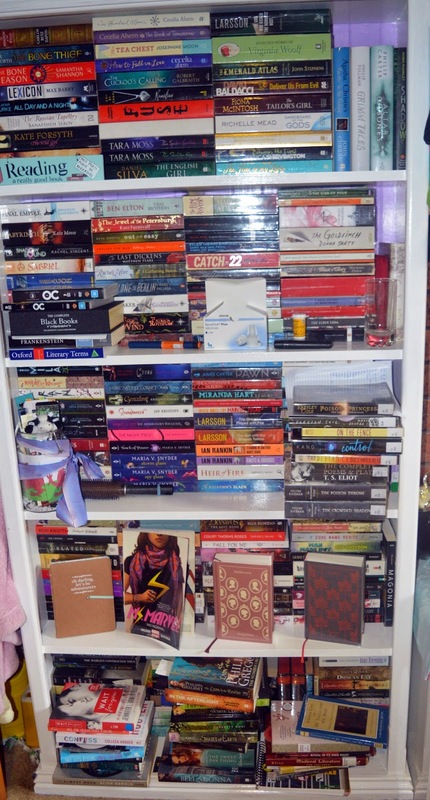 That is the majority of my TBR pile. Where you will be reading this week/ Your blogging space. The majority of my reading will take place here, on my bed. I do actually have a desk sort of thing where I could blog but that's currently covered in stuff. Some other reading might occur at Uni, if I can be bothered to take one of these books with me. Puts your hands up if you were too lazy to get and get your copy of Throne of Glass/Crown of Midnight from the other room. A book in your bookshelf that includes: aliens, magic, dragons, mythology or is steampunk. I have heaps of books that fit all the other categories, but I thought it would be cool to share this one because it's the only one that is steampunk. Your fantasy books sorted by colour. Fantasy is probably my most owned genre. You saw my shelves. Nope. Your reading material for this week. Now for the exciting bit - the TBR! So I picked out these five. From the bottom, we've got The Poison Throne by Celine Kieran, Graceling by Kristin Cashore, Touch of Power by Maria V. Snyder, The Assassin's Blade and Heir of Fire (finally) both by Sarah J. Maas. I started off today with The Assassin's Blade and I read the first three novellas which is 224 pages in my edition. I decided to start with this because I've read the first 240 pages of Heir of Fire back when it came out in September and then haven't read it since, because I'm terrified of the feels and I thought this would be a nice way to ease back in. I haven't got any classes today which means I can do as much reading as is humanly possible. I finished the last two novellas in The Assassin's Blade this morning, and I'm hoping to start Graceling now. I've got a few other things I need to do, so we'll see how that turns out.